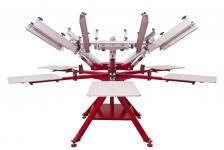 The Lightning is Anatol’s commercial-grade manual screen printing machine, designed for years of trouble-free printing. Strong but lightweight, the Lightning is simple to move and set up. 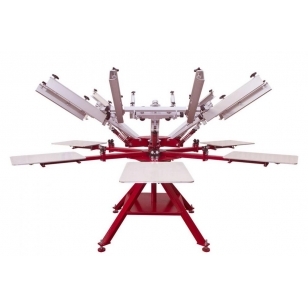 The Lightning is ergonomically designed for easy use and the dual bearing system allows for smooth motion for t-shirt printing all day. The side clamps are adjustable to hold 26″x36″ screens or smaller. Feature for feature, it’s the best value in its class.